It’s been a long time…! Over a month since my last post. Whoops! Before Easter training really ramped up an extra notch as I did 20 miles on the Sunday, 10 on the Wednesday and then 22.5 on Good Friday. Ouch! Last Friday saw me complete my last long run before the big day – a nice 16 miles along the river to Chiswick – and now I’m doing what’s called ‘tapering’, where you reduce your mileage in order to conserve energy for the marathon. I am having the classic ‘But surely I’m not running far enough? What if I suddenly lose all my fitness and forget how to run 20 miles?’ freakout, but I’m assured that’s perfectly normal, as is worrying about every single twinge and ache! But we’re less than two weeks away from the big day, and I’ve followed my training plan and worked my way up to some serious distances, and I’ve got three 20+ runs under my belt, so now I just have to trust that everything will be OK! 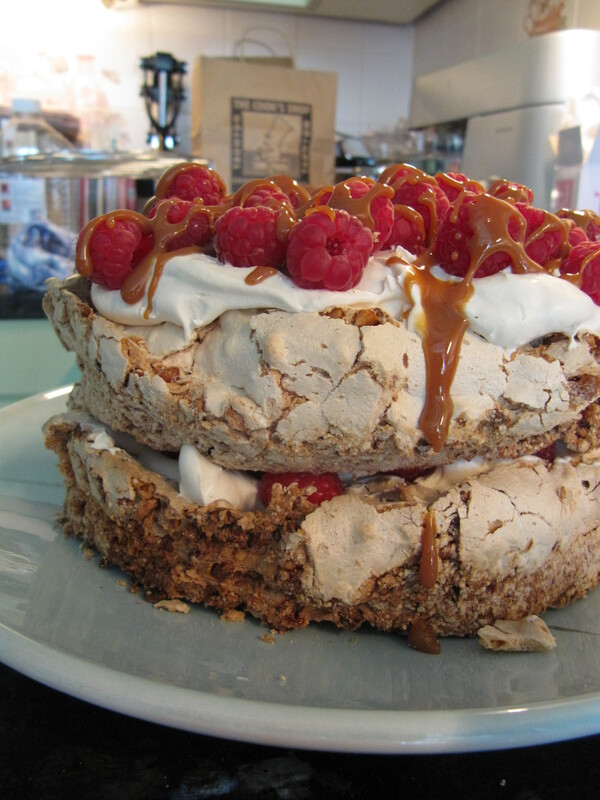 I will leave you with a photo of the amazing hazelnut meringue cake that my mum made for Easter Sunday lunch – and I’ll be back with the recipe!